Hamburg (renewablepress) - The Nordex Group is further expanding its market position in France with orders worth more than 84 MW received in the fourth quarter 2018. As of summer, the company will be delivering 27 turbines for four wind farms to different customers. For its long-standing customer EDF Renewables the Nordex Group is setting up the "Pays d’Anglure" wind farm with six N131/3600 turbines. The customer Eurowatt for the windfarm “Parc du Rio” also has ordered five turbines of this type, as well as one N100/3300. Another customer is the French wind farm developer JP Energie Environnement, for which Nordex will be installing two N131/3000 and four N131/3600 turbines for the "Brinay" wind farm. And yet another customer, Valorem, has ordered nine N117/2400 machines for the "Reuilly Diou" wind farm. All these projects also include a service agreement covering several years. 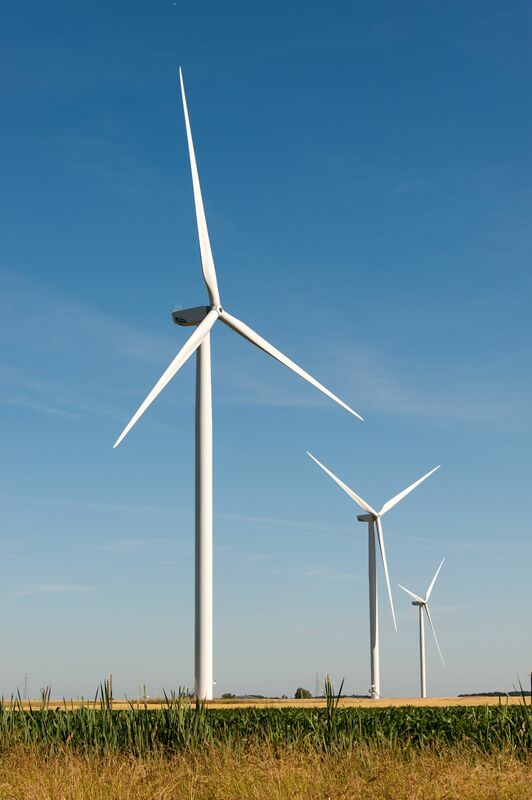 "Pays d’Anglure" is the third wind farm to be built by EDF Renewables together with Nordex. The "Brinay" wind farm is located in the Département Cher in the centre of the country. One condition for being awarded this order was strict adherence to the maximum sound levels at this noise-critical site. And the "Reuilly Diou" wind farm marks the second order placed by Valorem this year for Nordex turbines. "We are pleased to note that we continue to do well in France. Furthermore, the orders show that we are able to adapt our products well to the demanding requirements set by the local authorities – such as compliance with maximum noise levels," says Patxi Landa, CSO of Nordex SE.